A severe earthquake occurred on February 27, 2010, off the coast of south-central Chile, causing widespread damage on land and initiating a tsunami that devastated some coastal areas of the country. Together, the earthquake and tsunami were responsible for more than 500 deaths. The magnitude-8.8 earthquake struck at 3:34 am. The epicentre was located some 200 miles (325 km) southwest of the Chilean capital of Santiago, and the focus occurred at a depth of about 22 miles (35 km) below the surface of the Pacific Ocean. The earthquake—resulting from the rupture of a 300- to 375-mile (500- to 600-km) stretch of the fault that separates the South American Plate from the subducting Nazca Plate—was felt as far away as São Paolo, Brazil, and Buenos Aires, Argentina. The initial event was succeeded in the following weeks by hundreds of aftershocks, many of them of magnitude 5.0 or greater. The temblor was the strongest to strike the region since the magnitude-9.5 event of 1960, considered to be the most powerful earthquake ever recorded. inexplicata - In the early hours of March 1, 2010, passengers aboard a bus driving through Iquique were witnesses to a terrifying situation. 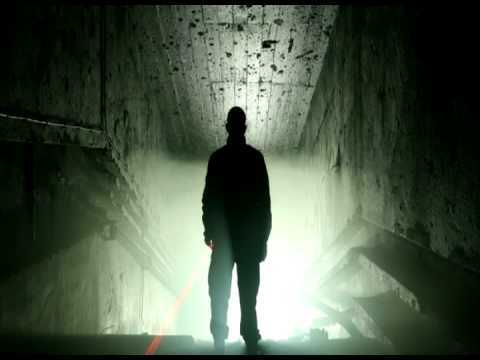 Inexplicata - The earthquake was followed by a boom in UFO sightings, but sixteen cases occurred on the night of the tragedy alone (some of them accompanied by significant visual material) which have been subjected to study by UFO researchers. elmercurio - Shadows cross the Cardenal Raul Silva Henriquez Bridge in Constitucion; Cell phone screens light up suddenly, as if trying to receive phone calls. The moans and tears of children and their mothers resonate throughout the wooded Curanipe camping grounds, where thirty people lost their lives on February 27th. Situations such as these are being reported by residents of Region de Maule, who claim that they repeat over and over in the early morning hours. “It’s the people who died here. They’re asking to be found and be given a burial,” says Juan Morales Morales, who works nights doing repairs on the Constitución Bridge. Dozens of people died in this area while camping at Isla Orrego, at the mouth of the Maule River. In the coastal village of Curanipe, half an hour away from Cauquenes, people reportedly hear sounds issuing from the forest where thirty people vanished. “We can hear the cries and weeping of children at unusual hours, and people are greatly distressed by it,” says Magdalena Rodriguez, who owns a nearby business. She lost a sister in the tragedy. Hugo Zepeda, a doctor of Theology and university professor, adds that these events occur “because people are psychologically injured. 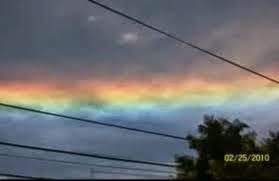 This has a collective projection that makes the see more or less the same thing.” He adds that if these events continue to occur, they may soon have a “paranormal” meaning. 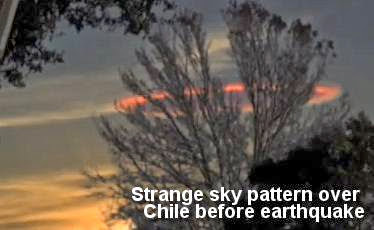 NOTE: NASA reported at the time that the 2/27/2010 killer earthquake in Chile probably shifted the Earth’s axis and shortened the day, a National Aeronautics and Space Administration scientist said. Is it possible that this earthquake event triggered the unexplained phenomena...or were people experiencing these events because of the shock of the tragedy? I am sure that there were other unknown anomalies that occurred around the same time. After one of the greatest catastrophes in the history of humanity, the earthquake that has taken thousands of lives in Haiti, came this curious news on various television channels. A rescuer from Colombia had a strange experience when he witnessed this apparition. 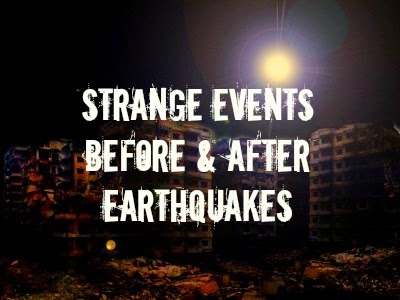 Then there are the strange 'lights' in the sky before anD after these earthquake events. Is HAARP to blame?